For additional information about this book, visit the website COUNTRYRAGAMUFFINS.COM. 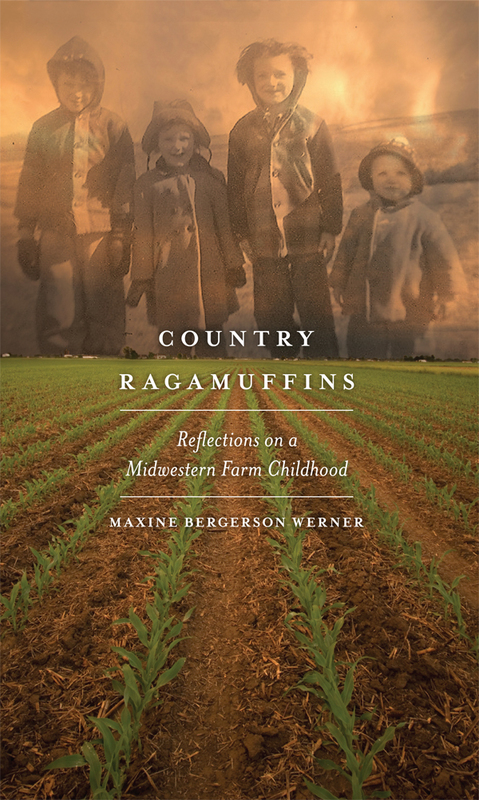 In Country Ragamuffins, Maxine Bergerson Werner invites readers on a journey back to the 1950s as she recalls her upbringing as the oldest girl among eight siblings in a Norwegian farming community in rural Minnesota. To convey and preserve the experiences, values, and character of a typical Midwestern farm family of the time “before those memories grow dim and finally disappear,” the author offers this chronicle laced with humor and appreciation. Werner’s parents cultivated a lifestyle that combined hard work, learning, and time for childhood fun and play in the surrounding fields, pastures, and woodlands. Connectedness was the theme in their happy life. Every member of the family participated in the functioning of the farm; siblings were best friends; and laughter and debate were welcome at the dinner table. The daily routines, the chores, the holiday festivities, and the births of siblings are recorded in scrapbook fashion. Country Ragamuffins presents a story of a time long gone and the celebration of a family heritage of strength, decency, and a thorough enjoyment of life. This is combined with melancholy for the eventual changes that occur as time marches on and the small family farm becomes part of history. Maxine Bergerson Werner grew up on a small farm in central Minnesota and is currently retired from many years in public education as a teacher and principal. A lifelong teacher and learner, she enjoys reflecting on this bygone era with her grandchildren.